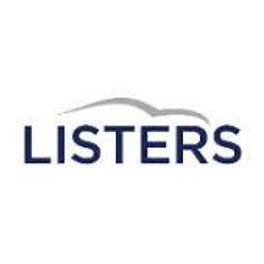 As a very successful business, Listers experienced typical pains associated with rapid growth and a continually increasing IT estate and user base. Originally they were using access database to monitor and manage their devices, but by the time a new project was complete the information was already out of date. In addition, Listers had issues around providing tech support. If an employee reported an issue, the IT team would have to talk the individual through a laborious IP config process in order to locate their device. As the business continued to grow, so did the scale of their challenges and so they decided to procure an IT hardware asset management (ITAM) solution. The IT team gained internal support to review the market and find an appropriate solution that could improve governance by providing better visibility and control of IT hardware assets. After considering a range of solutions, Listers decided Certero for Enterprise ITAM was the only one that could deliver against all their requirements. The key requirement was a powerful discovery function that could offer the most comprehensive inventory possible of their IT hardware. Since implementation, Certero for Enterprise ITAM has become Listers’ go to tool for problem resolution and support. The discovery process is automated to ensure inventory data for all hardware assets are continuously up-to-date, enabling the IT team to quickly find devices with a few mouse clicks and deliver faster support to the business. With its easy to use UI and UX, Certero for Enterprise ITAM allowed the IT team to quickly diagnose and solve issues across all hardware assets, and check for common issues such as software editions, compatibility and patch updates. With improved governance across the IT estate, Listers began to broaden the scope of their IT hardware inventory. Initially they added Certero for Mobile to their product collection to support mobile device management. As all of Certero’s products share a common UI and UX, along with an out-of-the-box single data source, both products worked holistically as one. This provided Listers with a single pane of glass view of all IT hardware assets across the organization, which they could access from a single login to easily perform detailed analysis and build interactive reports and dashboards for a range of different stakeholder groups.